After two weeks exploring and discovering wildlife in the bush of South Africa, a visit to the Cape of Good Hope provided additional perspectives of this vast, diverse country. 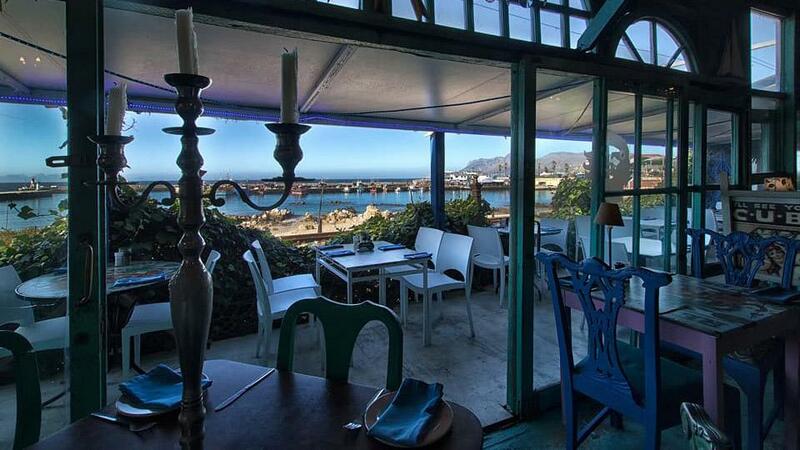 It was the return drive, though, through the fishing village of Kalk Bay, east of Cape Town, that appealed to our inner cigar enthusiasts. There on the main road, a cigar smoking Cuban woman painted on the wall outside the Cape to Cuba restaurant and bar caught our attention and drew us in for tasty vittles, drinks and a small selection of smokes. 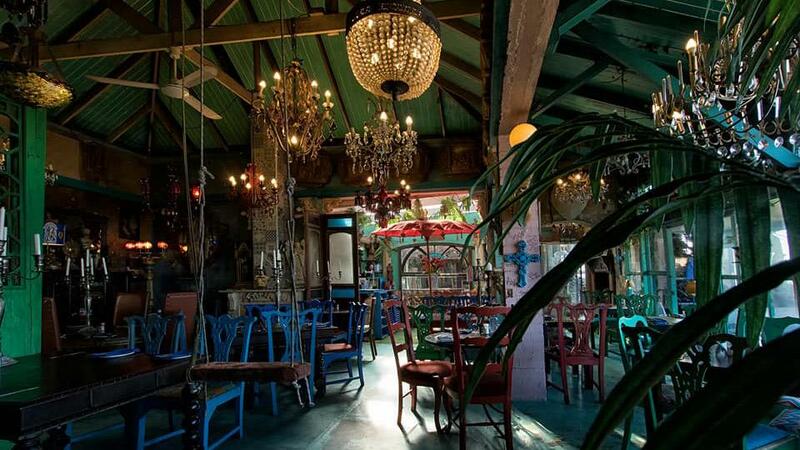 The interior décor of Cape to Cuba, an eclectic mix of colorful artifacts, creates a captivating roadside attraction. It is chock full of richly colored art and furniture, vintage posters, paintings, an assortment of sculptures, unconventional antique furnishings, numerous glitzy glass chandeliers and life-size Cuban icons that generate a funky, laid-back ambiance. Afro-Cuban music swirling through the air and sandy floors add to the tropical island atmosphere, and I felt compelled to wander about, not wanting to miss anything in this kaleidoscopic menagerie. 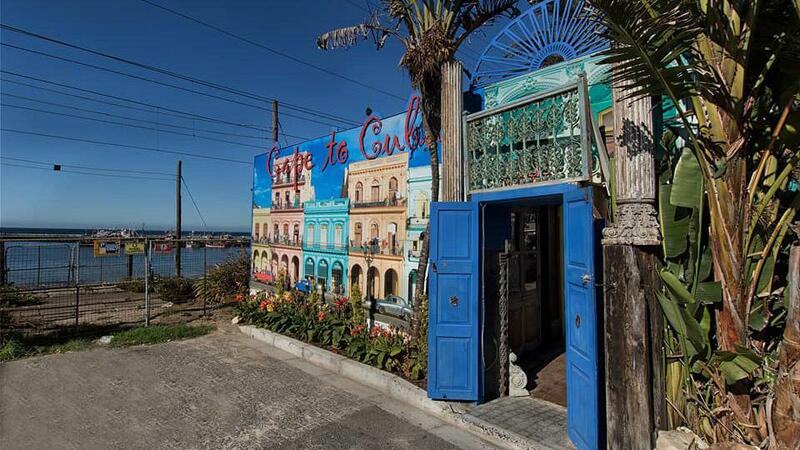 The interior décor of Cape to Cuba, an eclectic mix of colorful artifacts, creates a captivating roadside attraction. Harborside, fishing boats and families enjoy the beach, adding to the surroundings. Every now and then a train rattles past, just a stone's throw from the restaurant’s cigar-friendly patio. A glass-paned humidor showcases the current Cuban cigar selection: Cohiba Siglo I and II; Romeo y Julieta Cedro de Luxe No. 1 and 3; Montecristo No. 4 and Petit Tubos; Partagás Coronas Senior Tubos, and Jose L. Piedra Brevas. The humidor is a bit sparse because, according to management, distributors can be a bit unreliable. In other words, it would be wise to bring your own cigar. A view of the restaurant’s cigar-friendly patio. The menu describes Cape to Cuba’s cuisine as peasant food. “Hearty home cooking just like the Cubans do. Imagine paladares just like in old Havana.” A fusion of Caribbean, Spanish and African flavors creates the distinctive Cape to Cuba taste. 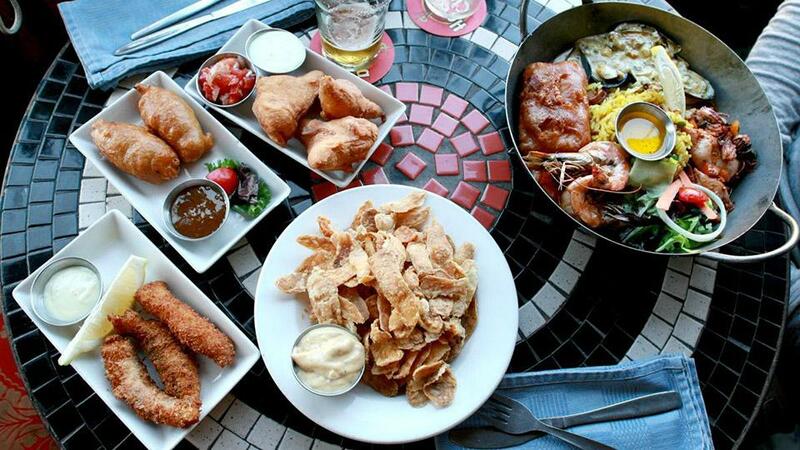 The mix of tapas, including panko prawns, sticky chicken wings, grilled sardines, coconut crusted hake strips, West Coast oysters and an extensive bill of fare such as soups, salads, pastas, burgers and seafood entrees provide numerous options. Fresh fish arrives daily at the adjacent working harbor. The tres leches dessert is a moist, traditional Cuban rum cake, topped with ice cream well worth the indulgence. The full-service bar offers an extensive cocktail lineup of drinks made with Cuban Havana Club rum, assorted Daiquiris, Mojitos, wine and beer. An array of cleverly created in-house bar concoctions are also available. A fusion of Caribbean, Spanish and African flavors creates the distinctive Cape to Cuba taste. The efficient and attentive waitstaff is easy-going and friendly, and more than willing to cut and light your smoke. We felt very comfortable and easily got into the laid-back mood, amplified by piped-in rhythms. It would have been nice to spend more time or to have visited on a Sunday afternoon when live music is presented. Cape to Cuba gives off good vibrations. It is most assuredly a relaxing and fun place to drop by, stay awhile and enjoy tasty food, drinks and cigars. Bill Nestor explores globally to write about travel, food, nature, golf and lifestyles.